(Seychelles News Agency) - Seychelles' efforts to rid itself of the invasive red-whiskered bulbul has been dubbed a success by conservationists who are now confident that the bird is no longer a threat to the Indian Ocean’s archipelago’s biodiversity. In its latest newsletter published this week, the Seychelles Islands Foundation (SIF) has claimed the successful eradication of the bird thanks to a three-year eradication programme financially supported by the European Union. More than five thousand birds, mostly found on the Seychelles island of Assumption that lies 1,140km southwest of the mainland of Mahé, were being targeted through the eradication programme launched in 2012. “A combination of mist-netting and shooting was used to target 5279 bulbuls over a 3-year period with a local and international team of three to 10 staff,” says SIF, which is a public trust established in 1979. According to the SIF, most of the birds had been eliminated by mid-May last year, with the last one being shot on December 18, 2014. The Island Development Company, IDC, a parastatal body set up in 1980, with the mission to manage and develop 14 islands of the Seychelles archipelago and another local conservation organisation the Island Conservation Society ICS helped SIF with the eradication programme. Assumption is one of the islands administered by IDC in partnership with ICS. Native to the Asian continent the red-whiskered bulbul (Pycnonotus jocosus) is considered an invasive species in other parts of the world. The species was introduced to the Seychelles island of Assumption in 1997 from Mauritius and from six individuals the species’ population on the island was found to have grown to several thousand birds in a span of three decades. 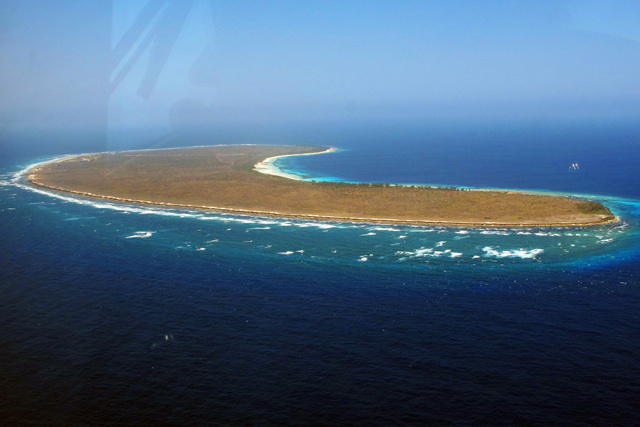 Assumption is a rather small island that lies 1,140 kilometres south-west of the mainland of Mahé on which there is very little human activity, although it has an airstrip that is mainly used to bring scientists back and forth from the neighbouring Aldabra Atoll, one of the Indian Ocean archipelago’s two UNESCO World Heritage sites. 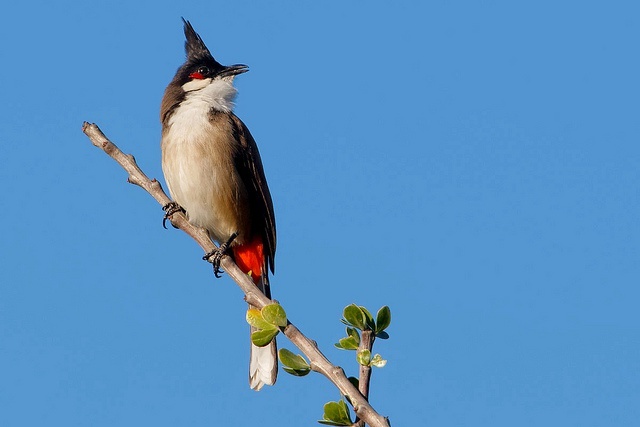 It’s the proximity to Aldabra, which lies only 27 kilometres away at its closest point, that alarmed conservationists, who considered the red-whiskered bulbul also known as ‘merl konde’ in the native creole language, to be a serious threat to the atoll’s biodiversity. Aldabra, which was designated a UNESCO World Heritage site in 1982, is acclaimed as one of the largest raised coral atolls experiencing the least disturbance anywhere on earth and is a refuge for many endangered species including the world’s largest population of giant tortoises and also hosts one of the largest congregations of nesting green turtles. “Potential threats from the red-whiskered bulbul to Aldabra included competition for food with native bird species, potential hybridisation with the native bulbul, and transmission of novel diseases,” says SIF, adding that conservationists called for the eradication of the bulbul from Assumption as early as the 1980s to protect Aldabra’s native species. According to the SIF, one bird was discovered in a remote part of Aldabra in 2012 but it was successfully targeted in July 2013. The complete eradication of the red-whiskered bulbul on Assumption was confirmed this week by local and international conservationists involved in the eradication programme who spent six weeks from the time the last bird was eliminated in December last year scouring Assumption to look for signs of any remaining bird. “I’m confident that we are very much done with the bulbul,” says Seychellois Jessica Moumou who was leading the team. Moumou’s conviction is shared by UK-based professional hunter and conservationist who has worked on the project for 2.5 years Pete Haverson and Nick Page, a hunter from New Zealand who shot the two last bulbuls on Assumption in May and December last year. The team’s “extensive coverage and knowledge of the island, the long period of time with very few remaining bulbuls, and the bulbuls’ highly social and vocal behaviour” have been cited as the main reasons for being 100 percent sure that the invasive bird have been eliminated. The Seychelles Islands Foundation, SIF, have dubbed the achievement as the first successful large-scale introduced bird eradication in the world. “The success is a milestone in international conservation and invasive species management and should open the way for introduced bird eradication operations on islands worldwide,” concludes SIF.